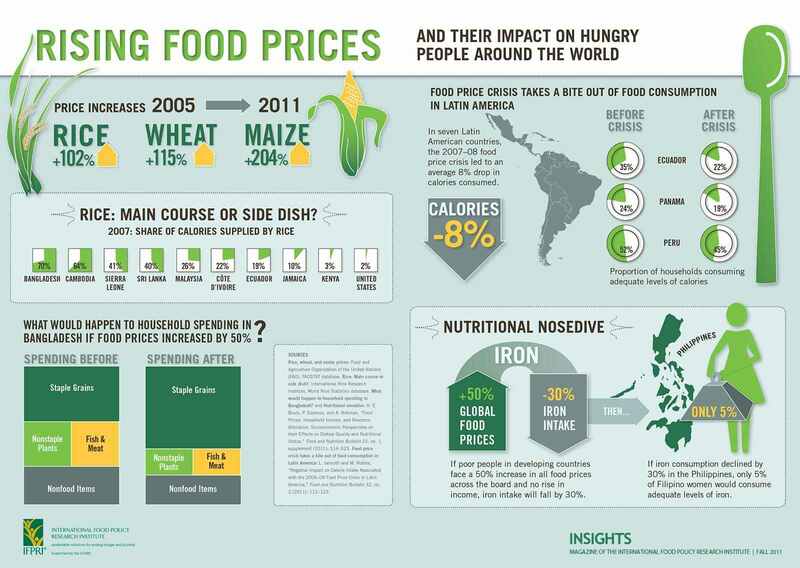 The price of food is a global commodity. When rice or grain or wheat rises, it rises for everybody. File this under NTSHMA (nothing to see here move along). In the longest recession in history, so long that we are actually approaching the next cyclical business cycle recession, the Government and The Federal Reserve continue to say there is no inflation. This recession is so long that Democrat strategists have told Democrats not to use the “R” word (recovery) when meeting with constituents and speaking on the news ahead of this year’s mid-term elections. Why? Because there is no recovery, we are still in recession and inflation is rampant. The Government and The Federal Reserve have eviscerated our economy and the Democrats have been told not to discuss that fact. For example, the Government’s inflation index, which leaves out everything that’s inflating, and is based almost entirely on the price of Brazilian Walnuts, continues to unsurprisingly send signals that inflation is low. In a Brazilian nutshell, The Federal Reserve, in collusion with Government politicians, is destroying the value of the currency through inflation so the global bankers of The Fed and the Government’s crony capitalist collaborators can enrich themselves while the politicians have enough money to pay for all of the goodies they give away to the lazy and the stupid in exchange for their votes in order to retain power. The three branches of the current American Government are The Federal Reserve, The Republicrats, and The Looter and Moocher Class. That’s it. Everything you’ve been taught otherwise in your Government schools is garbage. So while Yellen, and before her Bernanke, kept looking us in the eye and lying that there is no inflation, $15B in fraud is being committed by companies attempting to suppress the incredible inflationary pressures that The Fed and the Government are applying to the economy. It started with less food in the same package. Then it went to smaller packages with less food. Now it’s smaller packages with what may or may not be the food it’s supposed to be. From meatballs made with horse to fake extra virgin olive oil and salmonella in peanuts, food fraud has been grabbing national headlines. And, according to experts, the problem is only increasing with rising food costs and more widespread importation of food.